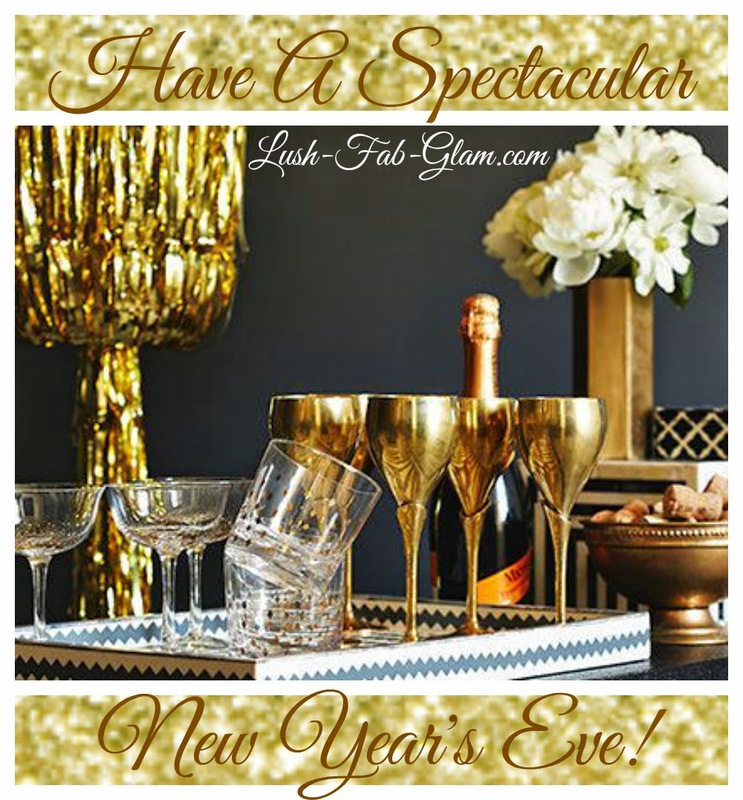 Lush Fab Glam Inspired Lifestyle For The Modern Woman: Have A Spectacular New Year's Eve. Have A Spectacular New Year's Eve. Happy New Year's Eve Everyone! As we countdown to 2015 we look back on the spectacular year we had in 2014. Our fabulous website makeover, stories and photos that went viral. The amazing fashion, beauty and lifestyle tips we shared. Our business collaborations and partnerships which brought you exclusive interviews, reviews and giveaways like our reader favorite interview with fashion guru Project Runway's Tim Gunn. These are a just a few of the wonderful things that made 2014 a spectacular year for Lush-Fab-Glam.com and an even greater year for our loyal readers, social media fans and VIP email subscribers. Which is why we bid farewell to 2014 with a great, big THANK YOU to each and every one of you! Have an incredible NYE Celebration and we will see you back here in 2015! P.S. click here to see an awesome video recap of some of our best moments in 2014. What was your favorite Lush Fab Glam photo, story or topic of 2014 and what would you like to see more of in 2015? Share with us by leaving a comment below.